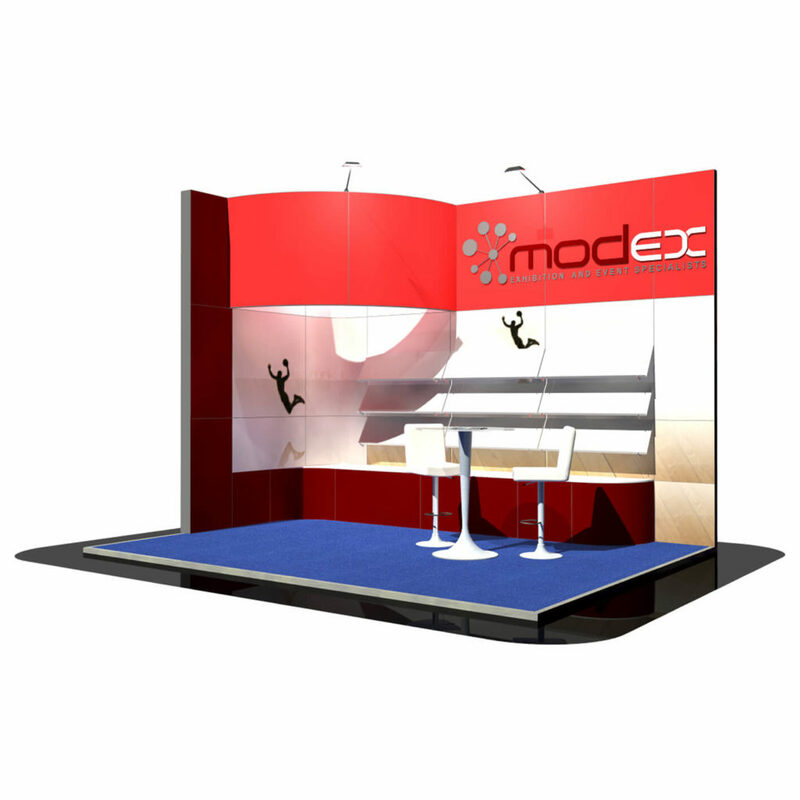 An open and inviting four by two metre exhibition stand with a corner curve to add feature. Plenty of shelving and counter top for product display. To complete the stand there is a table and chair set to chat with customers.